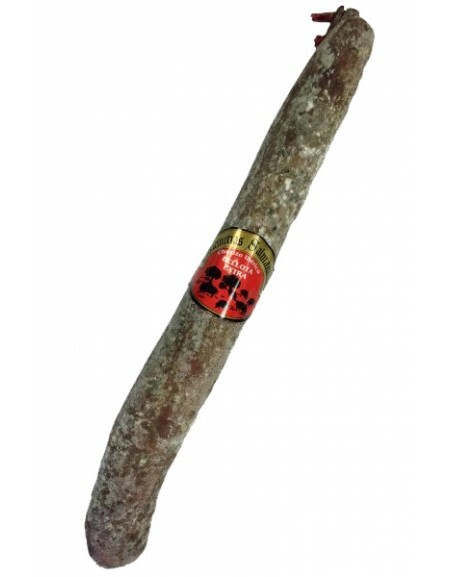 Acorn-fed Iberian Chorizo Ibérico Bellota from Iberian pigs, raised in the pastures of Salamanca, fed with natural products such as grass and cereals. Spanish Acorn-fed Iberian Chorizo extra. 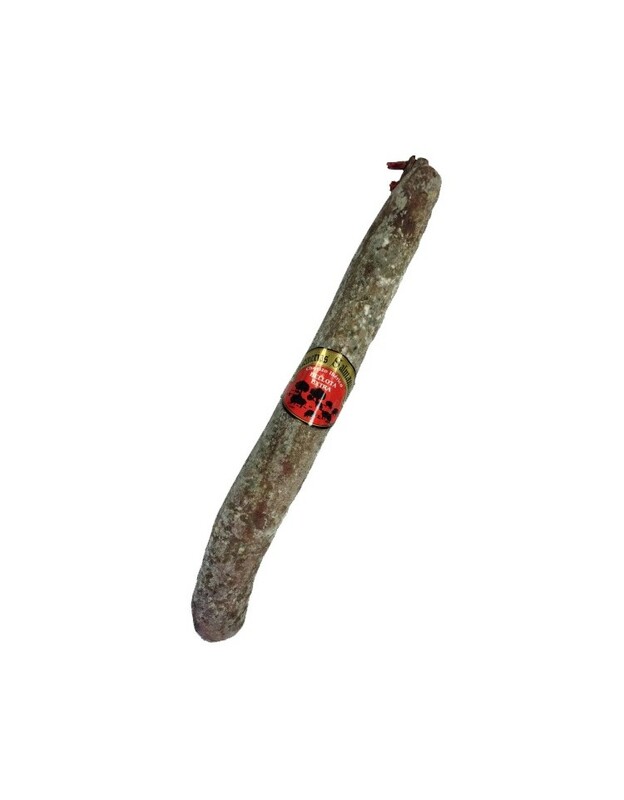 Mild smell, characteristic of this cured sausage. It has a characteristic red color of paprika, veined in pearly white. In the mouth, it conveys a pleasant, characteristic flavor with a light and enveloping bouquet, with no greasy sensation.